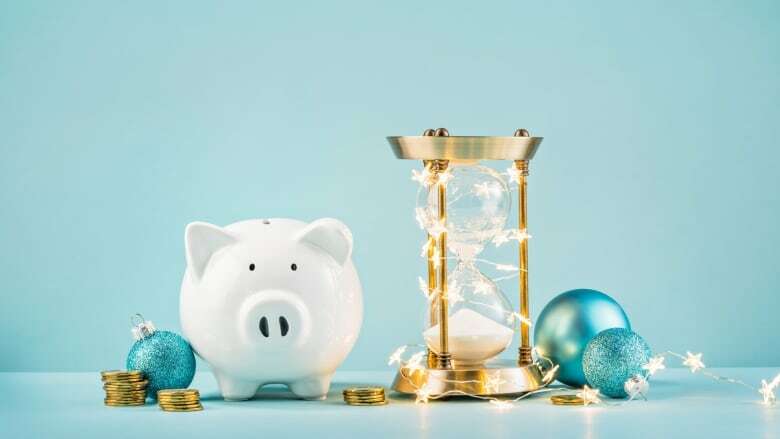 Financial expert Shannon Lee Simmons shares her go-to money strategies for the festive season. A recent survey found that Canadian consumers plan to spend an average of $1,563 each during the holiday season this year, up 3.7% from 2017, even as the amount of debt we collectively hold (over $2 trillion!) continues to creep upwards. Instead of spending with abandon only to review your credit card statements with regret in January, you can put some realistic strategies in place for the holidays and still meet your social obligations with confidence. Toronto-based financial expert Shannon Lee Simmons is a a Certified Financial Planner (CFP) and Chartered Investment Manager (CIM). She's also the bestselling author of Worry-Free Money and has a new book, Living Debt-Free, coming out December 18. Here are her practical, pro tips for getting through the next month without adding debt. Ideally, Simmons recommends starting to prepare for the holiday season in January, by putting $20-$50 into a savings account every month that you can then access at year-end. "By the time the holidays are there, you've got this little stash of extra cash," says Simmons. "You'd be shocked by how much it's helpful to have an extra $300 or $400 around the holidays that you can use to get some of the bigger stuff out of the way without using credit." Instead of doing your present shopping and holiday decorating mid-December, there can be benefits to getting started on festive tasks weeks earlier. "This sounds funny, but I usually say to decorate early, because one of the biggest things that have people swiping their credit cards and overspending is the last minute, panicked shopping," says Simmons. "Start thinking about that stuff in November, so that you can make your list, hammer it out, and have time to take advantage of sales." If you're in a time-crunch, you'll also be much more likely to make poor spending choices. "If you start early, the malls are a lot more calm, you can do things on purpose, and it's much more likely that you'll stay within your budget," says Simmons, adding that with last-minute shopping you're not likely to be very strategic or mindful. "You're buying out of convenience, and you're just making decisions that you're not even sure that you want to be making, but it just feels like 'I have to do something'." Towards year-end, when budgets are especially tight, it might make sense for you to start redeeming some of those loyalty and credit card points you've accrued over the past 12 months. "You can buy gift cards with them, and then you can use those gift cards to do your holiday shopping," suggests Simmons. Group gift exchange games like Secret Santa and White Elephant can be more manageable and budget-friendly than buying individual gifts for your family, friends and co-workers. "The best thing to do is to have open conversations with the people you want to buy gifts for," says Simmons. "Because you'd be surprised that most people are so happy to also not be on the hook to spend so much money on other people; we're all feeling the squeeze." Or, enjoy nice experiences together instead of exchanging pricey gifts. With your family, for example, Simmons suggests going for dinner or a weekend getaway together in lieu of a present exchange. "It takes away from (having to buy) multiple gifts, shopping all the time, but you're still recognizing the holidays," says Simmons. In the new year, if you're not able to pay off every credit card bill from the holidays in full, Simmons recommends consolidating and shifting around debts as necessary. "Try to consolidate what you can to lower the interest rate right out of the gates — for example, if you've got money that you can't pay off comfortably within the first month, but you have an old line of credit that is unused, you could pay off the credit card at a higher interest rate with your lower interest rate line of credit, and then pay off the line of credit as you go." "In January, keep things low-key because (you) just had this one month extravaganza," says Simmons, who suggests using any resulting savings to pay off the month's credit card bills. "Try to pay back any debt as soon as possible, or as much as you can, so it doesn't carry forward; otherwise, that splurge is going to become credit card debt that you have." Truc Nguyen is a Toronto-based writer, editor and stylist. Follow her at @trucnguyen.